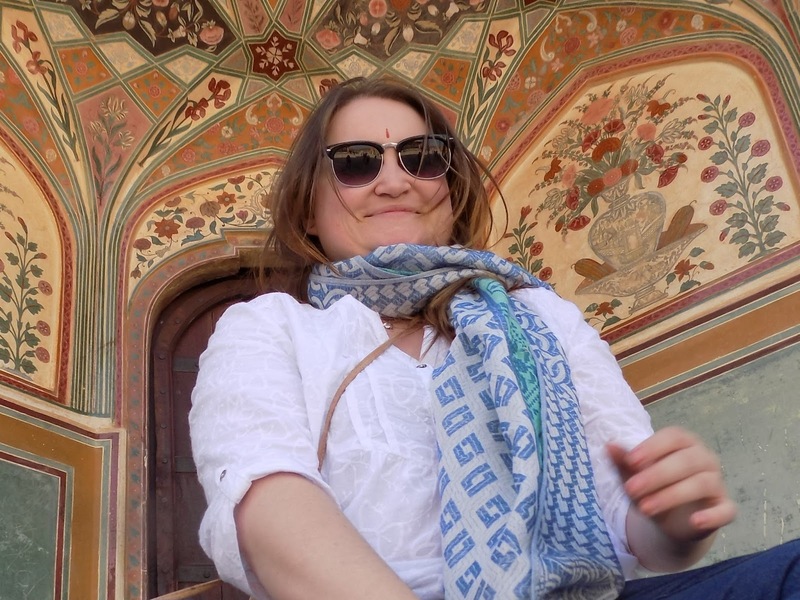 The Pink City – Highlights of Jaipur, Part 1 – Where's Clair? 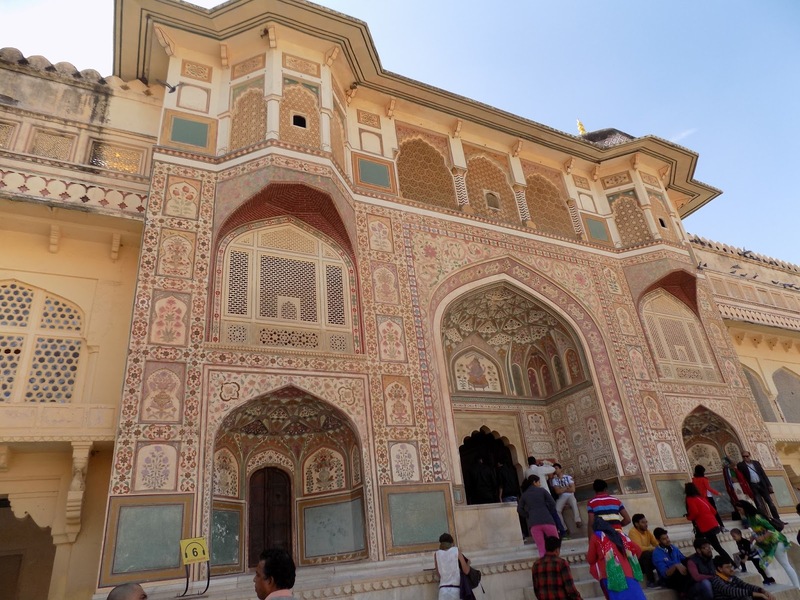 My next stop after Delhi was into the state of Rajasthan, also known as the colourful state. By now I had joined with a group tour and had the luxury of travelling the 6 hour journey by coach! We arrived at our accommodation to be greeted with a beautiful garland of flowers and a traditional bindi, a red dot applied to our foreheads. Ironically, one of the first things we did in this beautiful and cultural city, was to go shopping! Jaipur is famous for their textiles and also jewellery. 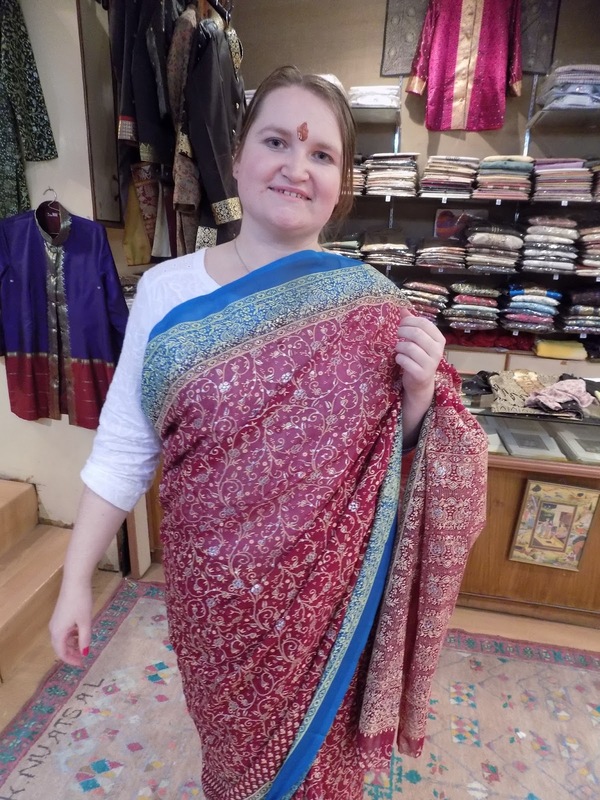 I wanted one thing only and that was a Sari so we travelled by Tuk Tuk to a textile factory where we learned about the various textiles and prints and had some fun trying on traditional dress. 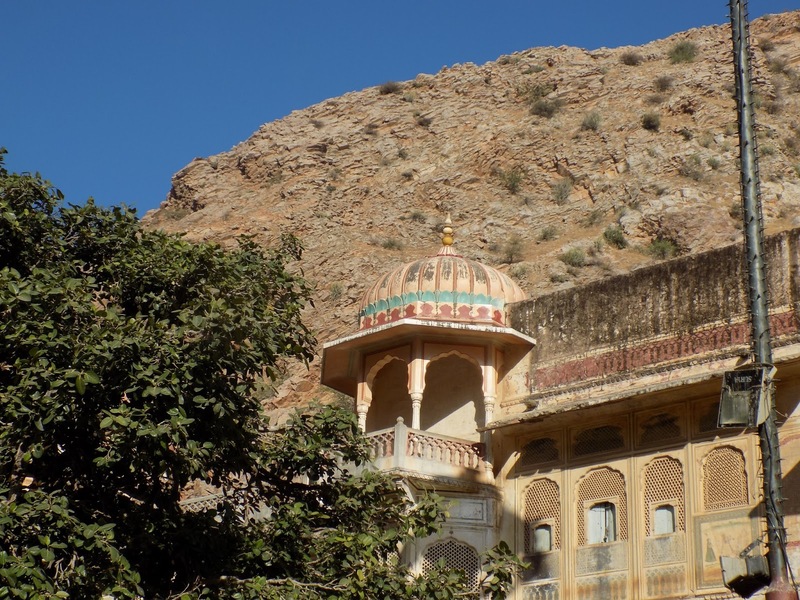 One of the not so obvious jewels of Jaipur, is the Galta Ji Temple. 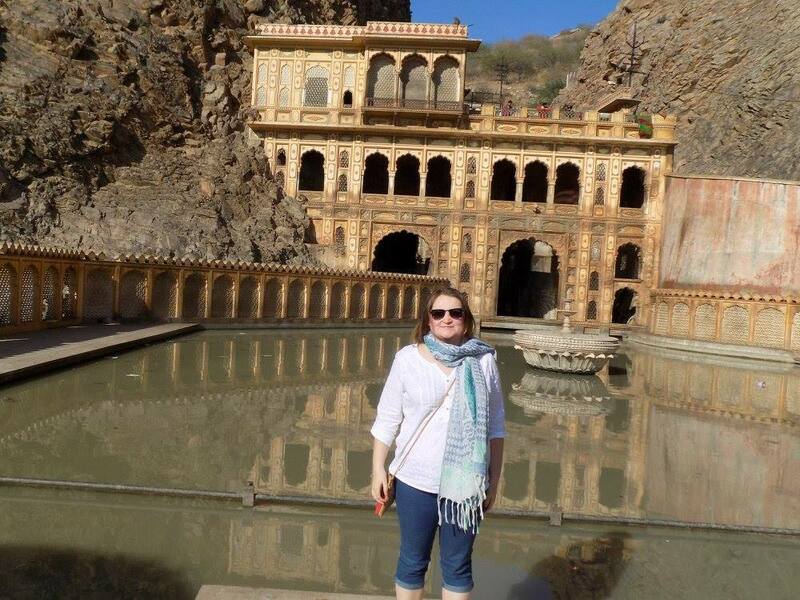 Nestled into the mountains surrounding the city, it is a pink sandstone complex of temples over looking Jaipur. 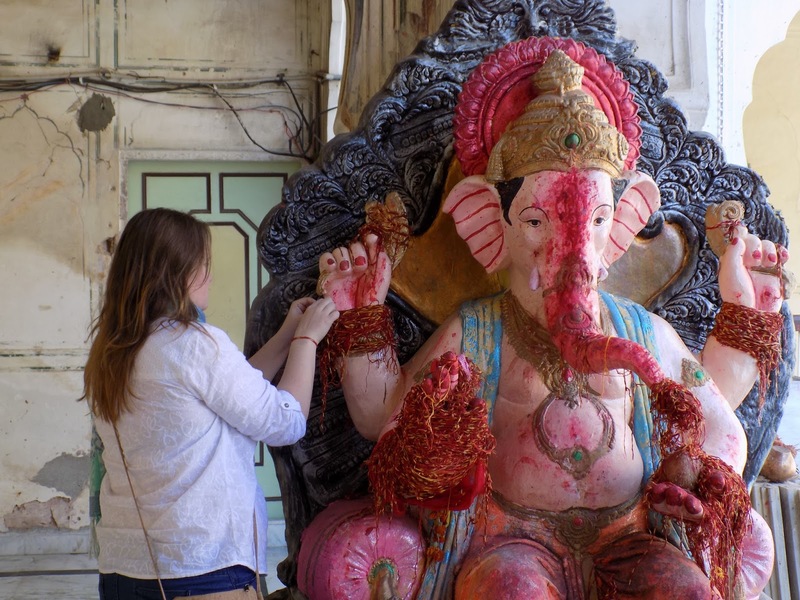 Arriving at first, it seemed derelict, with the exception of a few snake charmers and men selling monkey nuts on the side of the road. It was one of the few peaceful places I visited in India, not full of tourists with only a few local people who had come to worship. 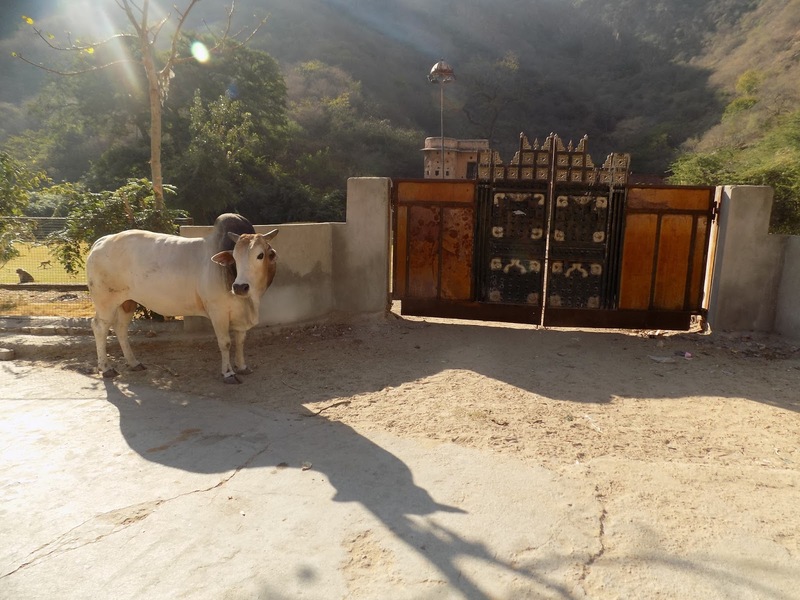 As we walked inside the gates, we were greeted by a large water buffalo standing guard. I was not prepared for the sheer number of rhesus macaque monkeys that filled the fields surrounding the complex. 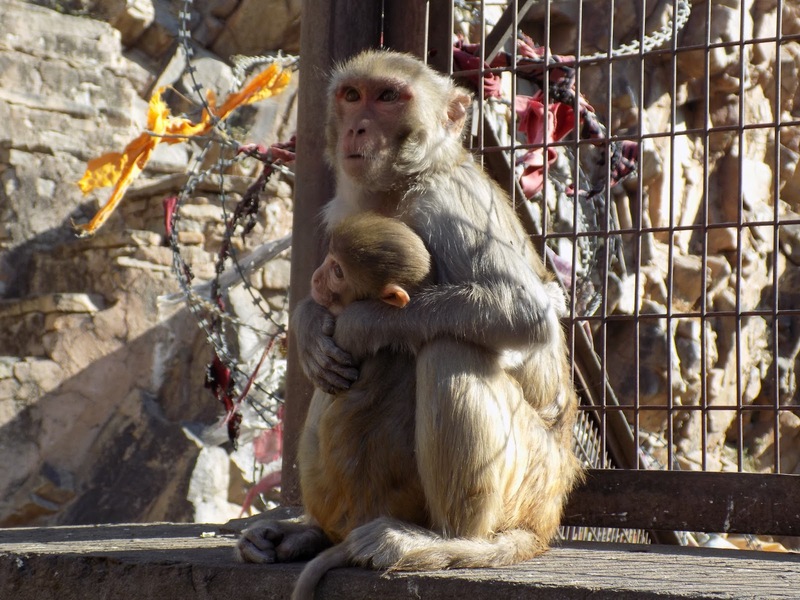 Our guide encouraged us to feed the monkeys some nuts, and although I was nervous at first, I soon felt confident enough and I particularly enjoyed feeding the adorable baby monkeys. As we made our way through the temple, we learnt that it was built in honor of the Saint Galav, who lived and meditated on this site. 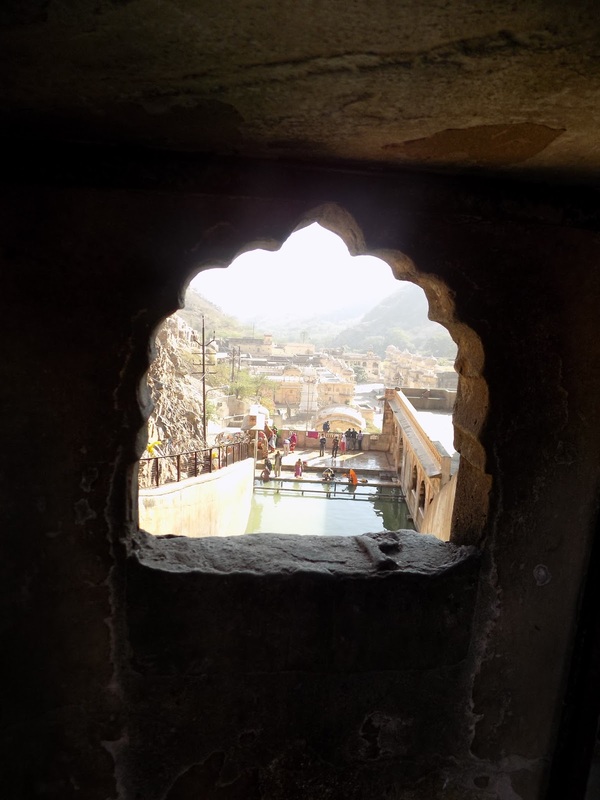 The temple is set on a natural spring which fills 7 sacred water tanks called kunds. I was amused that one of these water tanks is left for the exclusive use of the monkeys. Our guide estimated that there was over 3500 monkeys living in the temple. We watched as local people bathed in the water and learned that they were cleansing themselves as this is an auspicious place. 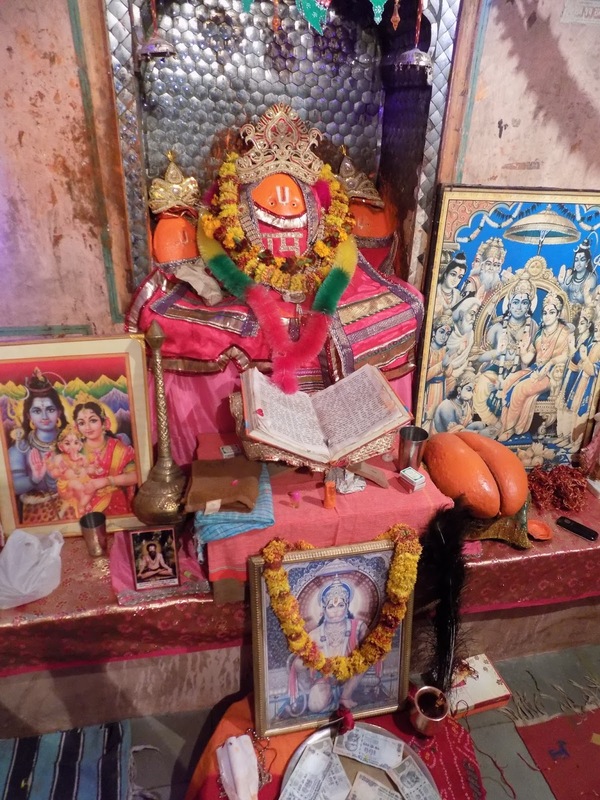 Next we were invited into one of the smaller temples to perform a Hindu ritual. 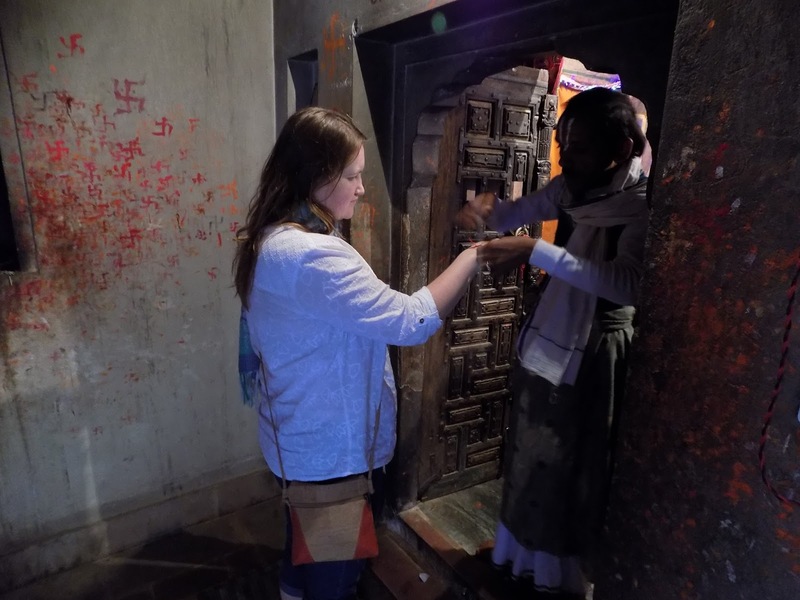 A piece of string was tied around our wrists as a blessing, before entering a tiny room with an idol of Ganesha, God of Wisdom, Knowledge and New beginnings. Outside we again took pieces of red and yellow string and tied them around a much larger statue of Ganesha, making a wish as we did so. 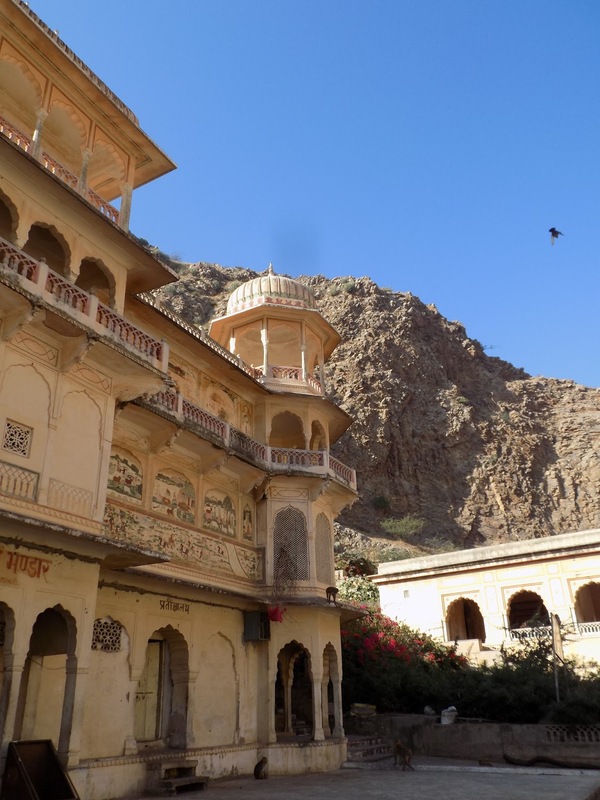 The Galta Ji Temple was a truly spiritual and unexpected experience and probably one of my favorite during my time in Jaipur. Not only this, but the wish that I made to Ganesha has since come true! 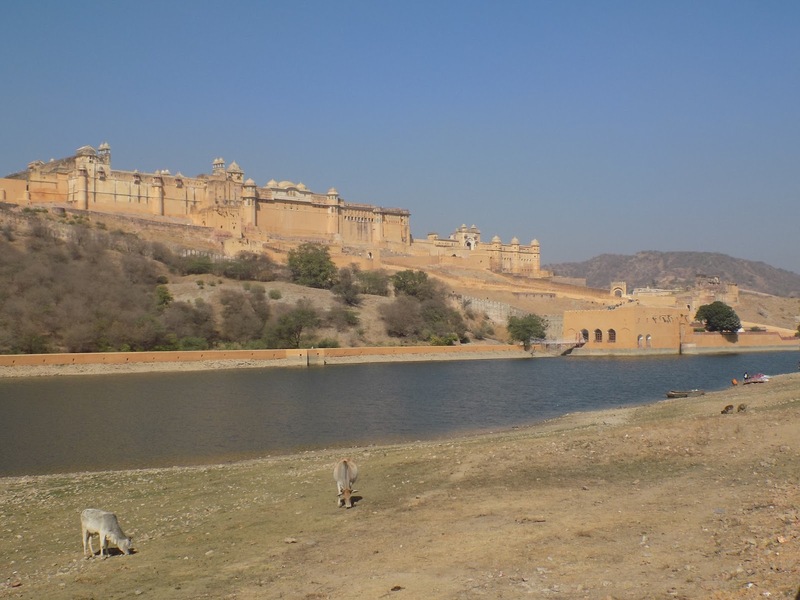 The Amber Fort in Jaipur is the main tourist attraction in Jaipur and you can easily see why. 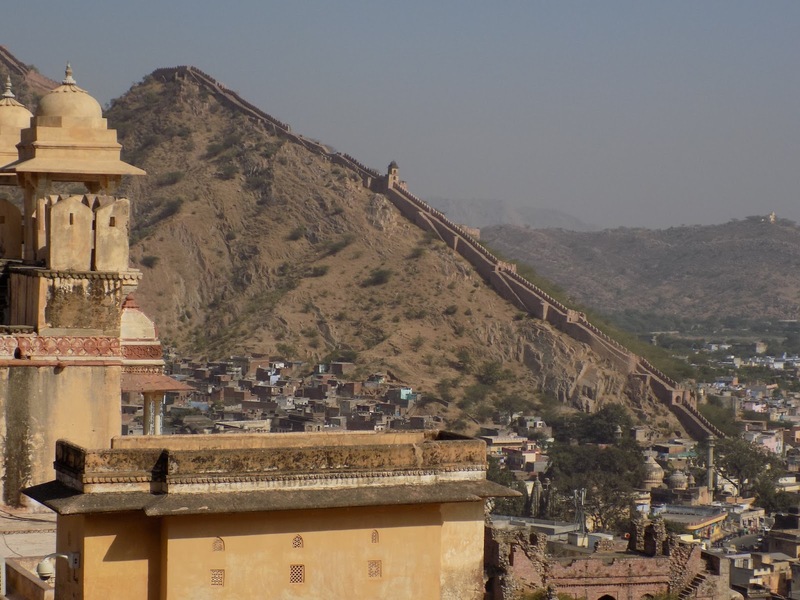 Built high up on a hill the surrounding Fort bore a striking resemblance to the Great Wall of China. 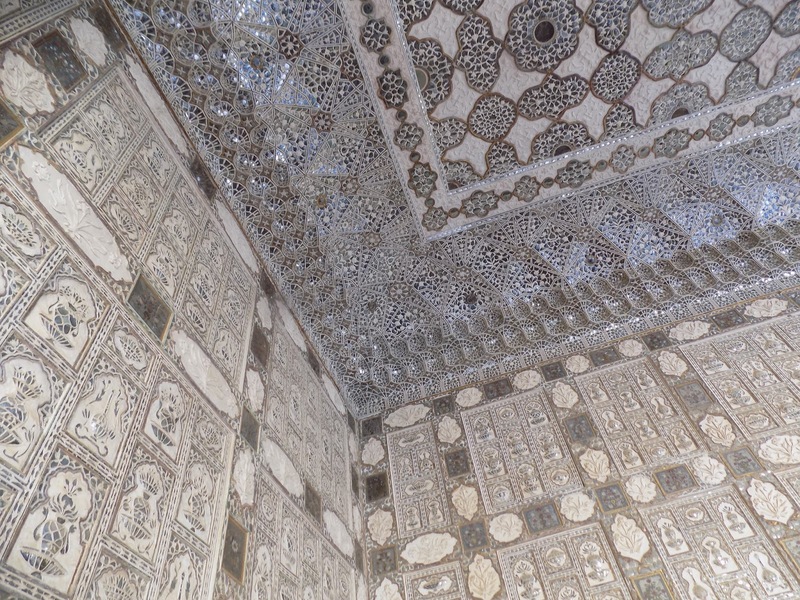 Inside the Walls the beautiful Amer Palace is equally as impressive. At first the colourful gates to the palace are so beautifully decorated it is hard to believe that the inside will be even more amazing. The palace was expertly built with a Mirrored Palace which would reflect light throughout the room. Another part of the palace was designated for summer use as the wind would blow strategically through cooling it down. 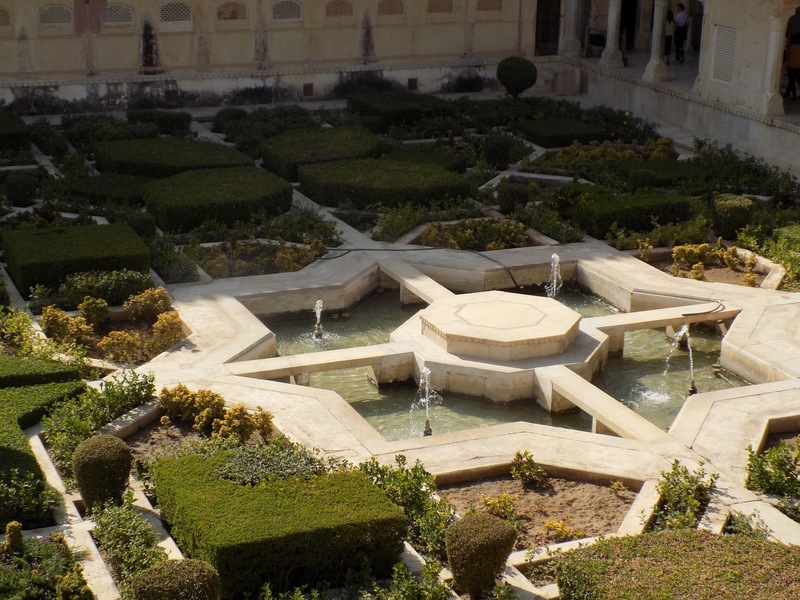 The palace consists of a number of courtyards with an area dedicated the the Royal women, which included the Kings wives, concubines and mistresses. It is an architectural triumph with working toilets which is incredibly impressive for a building dating from the 1500’s! I have plenty more highlights to come. 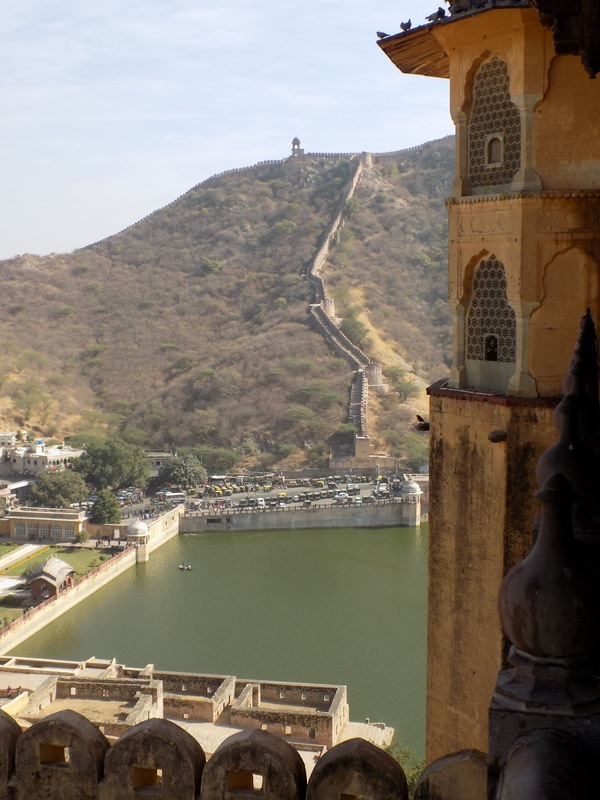 Stay tuned for more on Jaipur and the rest of Rajasthan! Wow! The pictures look really nice and the sari seems to suit you well. I really enjoy reading your travel posts. What an amazing adventure! looks beautiful. I'm envious. Wow, this looks like you had such a great time! Awesome post and I bet you really enjoyed the shopping experience! I'd love to score some textiles from there! 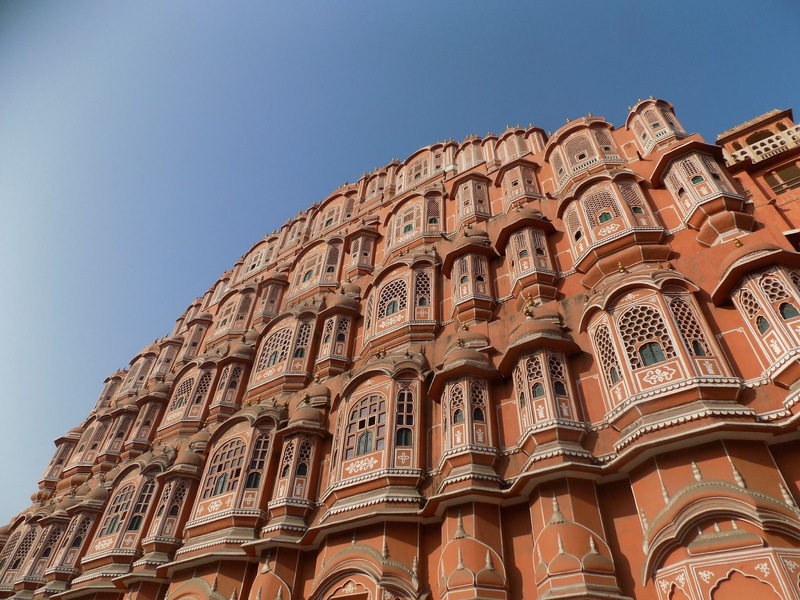 The Pink city, Jaipur is very beautiful with all the bright colors of live. Have been there once in 2011. Thanks for sharing this post with us! Absolutely loved the sari you picked. And I like how brave you were with the monkeys. But trust me it is best avoided. In India in many temples r these monkeys simply whisk away your bags and reflectors and your are done . This looks like a fun adventure! 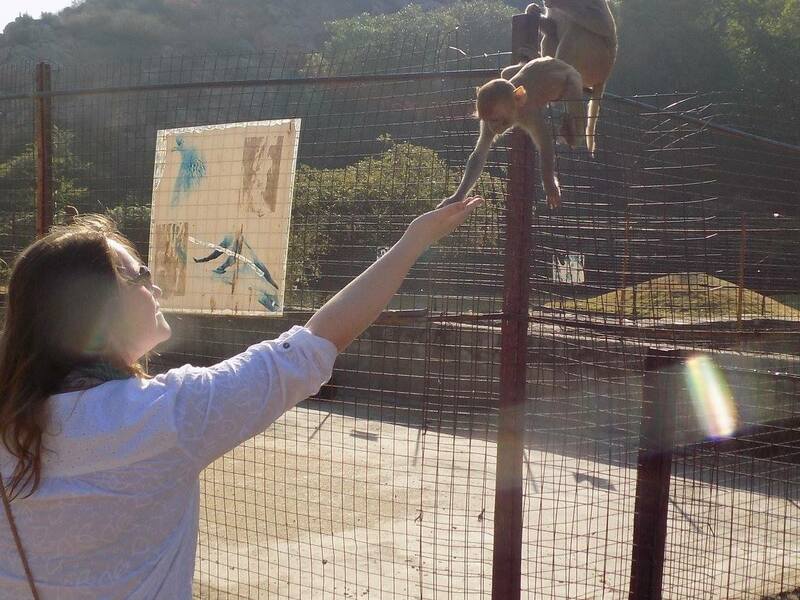 I think feeding the monkeys could be fun but also scary at the same time. The sari you picked out was so pretty! one of my favorite cities! loved the pics! thanks for sharing! Looks really good. The palace looks intricate and the courtyard is really beautiful. I love monkeys! What a wonderful experience this must have been! The pictures are great! You make India sound so nice (nothing against the country though)! What would you say was your most liked activity during the trip so far? I like their saris too! Such wonderful patterns and colors. I also feel like when you wear one, you look ready to go even though it's “normal” wear for most of them, hehe. this must be another great trip for you.. Very nice review and pictures! 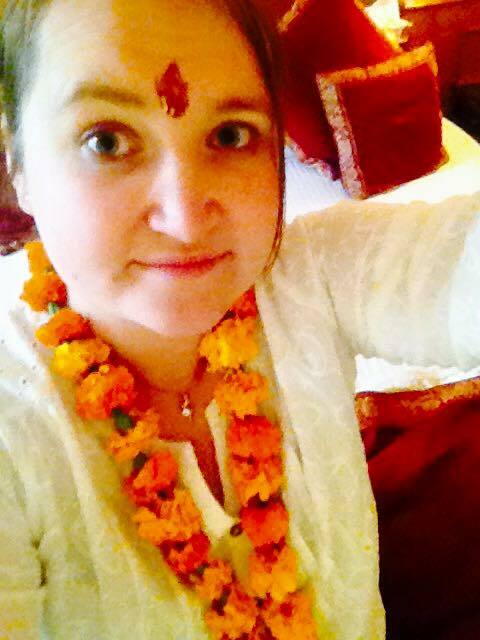 I cannot get enough from India ! The culture , the people , the aura! Ah so jealous!